Amazing Canyon View! Large Mountain Home located in the scenic quaint small town of Big Creek. Nestled inside of the Sierra Nevada Forest, this little town is perfect to get away from it all! 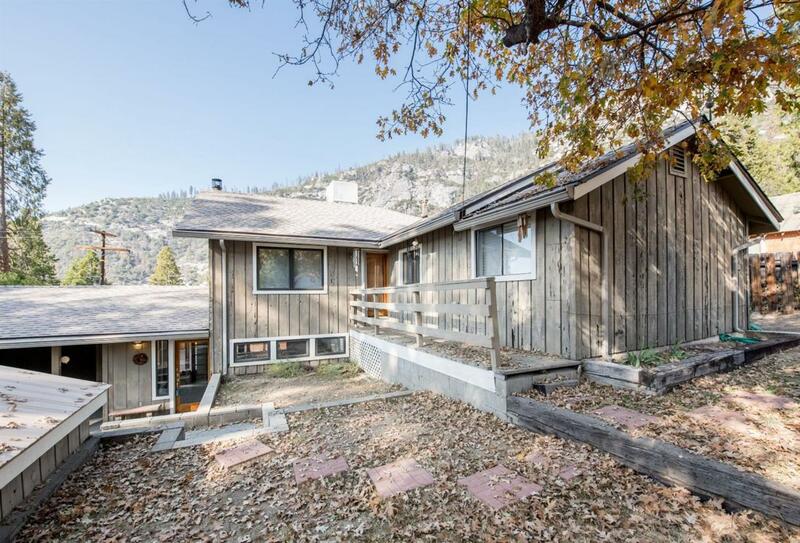 Located just 4 miles to Huntington Lake and 7 miles to Shaver Lake on fee simple land makes this property truly special. The home is well maintained with newer roof, mostly Pella windows and large wood deck. This home is cozy and spacious with two separate living spaces, in kitchen dining area, 4-5 bedrooms and 2.5 baths making it perfect for large groups or families. There are huge pantry closets and ample storage areas. Master suite is very nice and spacious upstairs. Guest bedrooms are charming and inviting. Enjoy walking to Big Creek Store and around the lovely community and creek. Step back in time to a quieter, simple time and enjoy the beautiful mountains. Perfect place to raise your family with a K-8th Grade Elementary school with fewer than 50 children attending within walking distance.